All of us at Children’s Scholarship Fund were deeply saddened to learn of Peter M. Flanigan’s death earlier this week. The list of charitable and reform-minded educational endeavors that were either started by Peter or lucky enough to have his association is a long one. And who knows how many children’s lives were changed by his tireless efforts? Perhaps he knows that number now. Peter was one of a kind and will never be replaced. I am grateful to have known him and had a chance to learn from both his example and the clarity of thought he brought to any discussion. Our sincere condolences go to Peter’s wife, his children and their families. His memory will live on in the lives of thousands of children who received a better education through his efforts. 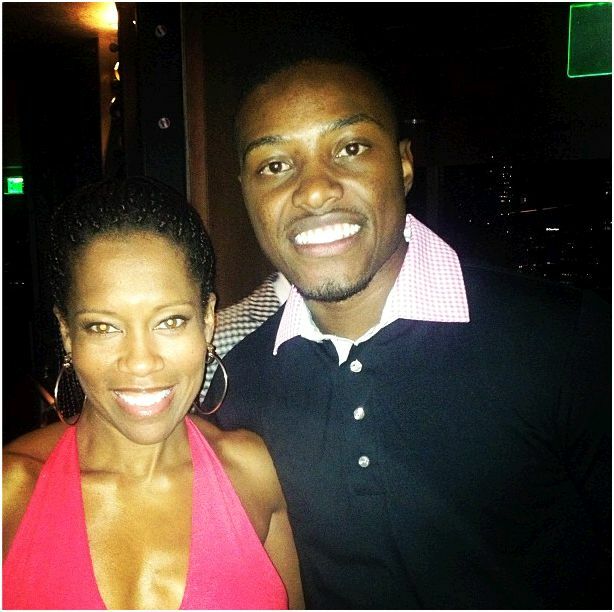 On the eve of the ESPY awards, Children’s Scholarship Fund of Omaha alum Josh Jones was privileged to be one of several athletes discussing the value of parental choice in education at the Champions for Choice event in Los Angeles. 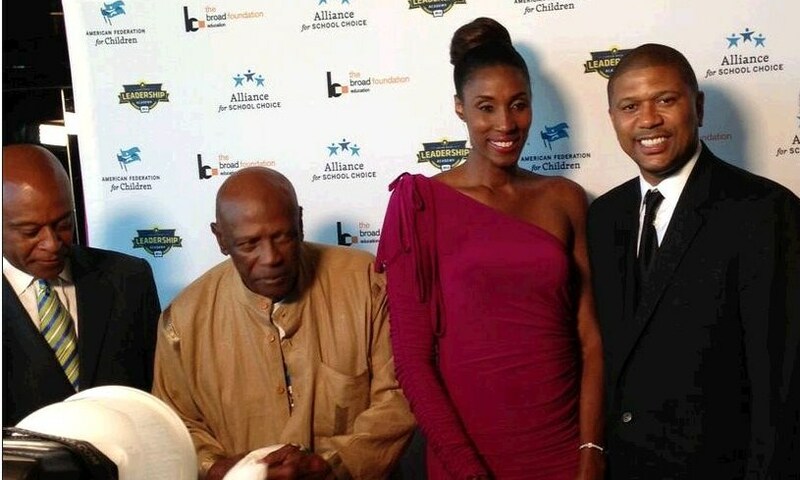 Four-time Olympic gold medalist Lisa Leslie and former NBA star and current ESPN/NBA analyst Jalen Rose were the evening’s co-hosts, and both spoke about how they got involved with education reform and came to believe that all parents should have the power to choose the school that best fits their children’s needs. Kevin P. Chavous of the American Federation for Children also addressed the star-studded crowd, which included Vince Young, Vivica A. Fox, and Lou Gossett Jr. among others. Josh met and posed for photos with many of the athletes and actors! As an athlete who benefited from school choice himself, Josh was perfectly suited to participate in Champions for Choice. He first used a CSF Omaha scholarship to attend Jesuit Middle School as a fourth-grader, and it was there where he decided he wanted a future in basketball. Josh jokes that he learned to be a diligent and well-behaved student because the school rewarded good behavior with extra time on the basketball court! After middle school, Josh played basketball at Omaha Central High School (winning three state championships and setting a record for scoring points) and then earned a scholarship to Creighton University, where he was a standout guard for the Bluejays. Tonight, Josh is a guest at the ESPY Awards, getting the chance to meet and mingle with many of his sports heroes. Thank you, Josh, for representing CSF so well, and thank you to the American Federation for Children for giving Josh this opportunity! 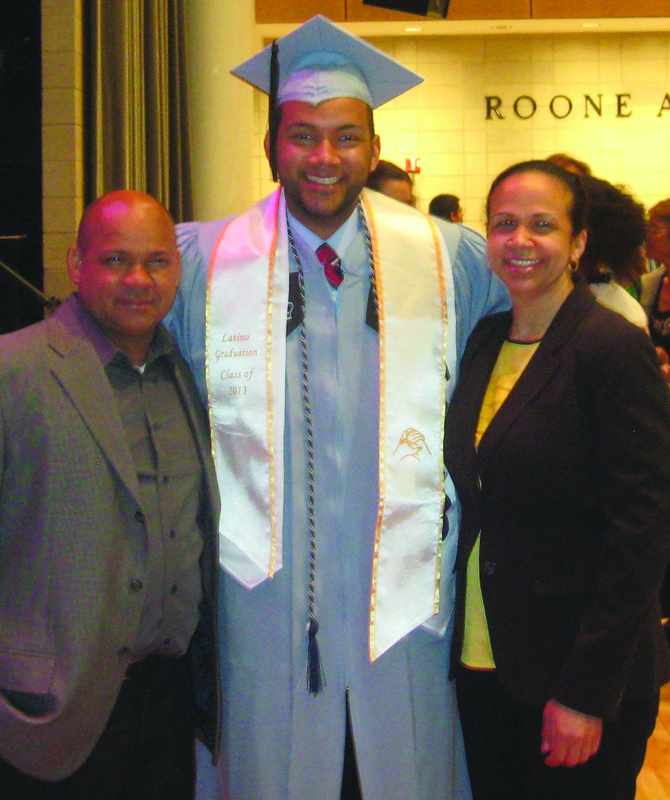 At 22, Jason Tejada is a highly accomplished young man, already ahead of his peers in many respects. He just graduated from Columbia University, where he majored in economics and ancient history on a full scholarship, and this summer he’s beginning work at JPMorgan Chase in Manhattan. CSF Alum Jason Tejada graduating from Columbia with proud parents, Francisco and Luz. But Jason’s life could easily have taken a different path. 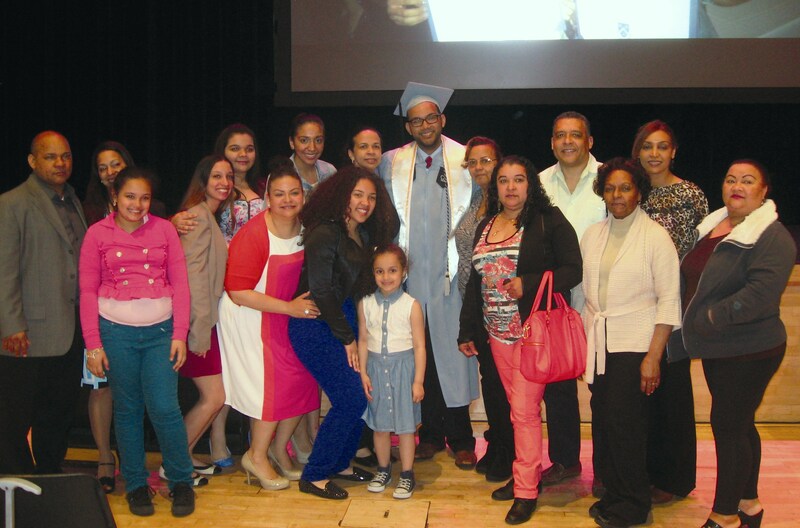 Growing up in Washington Heights as the son of recent immigrants from the Dominican Republic, Jason knows education is the key to his success, and that many young people growing up in his zip code have not had the same opportunities his schooling offered him. Jason’s mother, Luz, first heard about CSF through a teacher at his public school who thought Jason would excel in a private school setting. Luz liked the more disciplined environment at nearby Incarnation School, and used a CSF scholarship to enroll him there starting in fifth grade. Later, his younger sisters, Joandalys and Jorvelyn, also attended Incarnation as CSF Scholars. Jason thrived in the safe, family atmosphere of Incarnation School, and went on to All Hallows High School with another scholarship. But it was not a seamless transition. During his eighth grade year, Jason was diagnosed with non-Hodgkins lymphoma and underwent surgery and chemotherapy throughout eighth and ninth grades. Fortunately Jason regained his health and graduated from All Hallows as valedictorian. At Columbia University, Jason has proven to be a real leader among his peers, becoming President of his fraternity and winning the Dean’s Award for Leadership Excellence and the Stanley I. Fishel/Zeta Beta Tau Prize. This May, he was chosen by his classmates to be the main student speaker at a Latino graduation ceremony at Columbia. In his speech, he thanked his parents for all the sacrifices they have made throughout his schooling, and said he and his classmates now have an obligation to help younger generations get the education they need. Jason’s extended family came out to cheer for the new graduate! “At about 8:30pm, the electricity went out. There was no light, nothing. We could hear the water coming,” said Stella Obazee, describing the night of Oct. 29th when Hurricane Sandy hit. Ms. Obazee, her husband, Patrick, and their twin daughters (both first-graders at St. Mark School), live in a basement apartment in the Seagate section of coastal Brooklyn. As the water flooded into their home, Stella put her daughters on her shoulders one at a time and walked them across the street, asking her neighbor to take care of them while she and her husband waited out the storm. However, soon water in the apartment was waist high, and the Obazees joined their daughters at the neighbor’s house. Surveying the damage the next day, the Obazees found most of their belongings had been ruined. Not only was everything wet, but more than a foot of sand had made its way into the low-lying apartment and a large piece of wood from the boardwalk landed just in front of the building. To make things worse, the company Mr. Obazee works for had also been flooded and would remain closed for seven weeks. Luckily, the family was able to move to a friend’s house in Flatbush while their apartment was cleaned and repaired. And even though it took multiple bus transfers to get from the Flatbush house to their old neighborhood, the Obazee girls returned to school the day it reopened. The Obazees moved back to their apartment at the beginning of January, and slowly, things are getting back to normal. Throughout the difficult weeks after the storm, the Obazee girls and their parents truly appreciated the support they received from their school, and they are very happy the girls were able to stay at St. Mark’s with extra assistance from CSF. 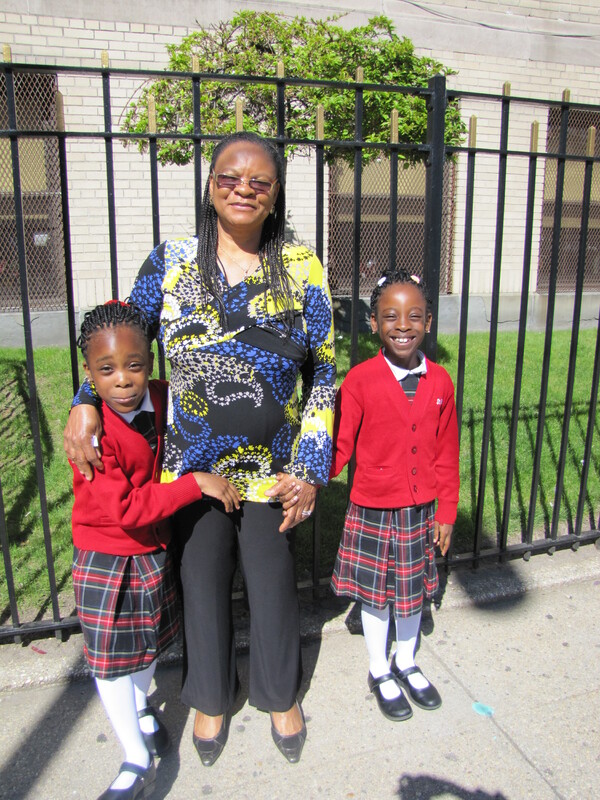 Mrs. Obazee and her twin daughters outside St. Mark School in Brooklyn.